Got an outstanding deal thanks to Manny and Brandon. Highly recommend Landmark Motors for your next car purchase! Really great experience! Service was thorough and professional. Kudos for a great job. Will return over and over again. Amen. It was a good experience. Jason liked my dog Cooper, so that was all that really mattered. Great service on high end vehicles at a reasonable price! From allowing me to test drive my complete list of choices on MY timeline to providing information, opinions and quotes, they were absolutely top notch. Always friendly and helpful. They do great work at a reasonable price. Excellent service. Friendly sales staff. They have the absolute nicest luxury vehicles around and work hard to get you the best deal around. Have always had good business with them. Made it really easy to trade in our old car for a newer one. Outstanding dealership and dealership experience. I found what we were looking for and coordinated everything with Mark over the phone. The staff is incredibly friendly, not pushy or aggressive. Thank you, Landmark Motors! The service was fast and welcoming. They didn't just want to make the sale and get rid of me. Dare I say I feel like part of the family. I have gone to many different car dealerships and this by far was one of the best experiences that I have had in years. Felt like a VIP and Brandon and the rest of his colleagues were super nice and patient in explaining to me the differences on each car models. Great Experience. I highly recommend to anyone car shopping. Stress-free experience! He got us all the info we needed and helped us with his honesty, he also had a few things fixed that we wanted done, it was done immediately and the car looked awesome! Great cars, great service, great value. I've never owned a german luxury car so I had a lot of questions. Best car buying experience ever... flawless, no pressure, and best of all quick! David Suy was amazing. What a relief to find a service department that is honest and makes you feel like they value my business! Thank you Jason and Landmark! Pleasant and straightforward. One little piece of misinformation on the radio, but otherwise hassle free. I would highly recommend this place, friendly staffs and high customer satisfaction. Awesome experience! Andy was my salesperson and he was fantastic! Quick and painless buying experience, highly recommend this dealership! Phenomenal! Frank and his staff went above and beyond to get me into the perfect car for me. Absolutely amazing customer service! Frank and his staff went far beyond, they are truly a great company. 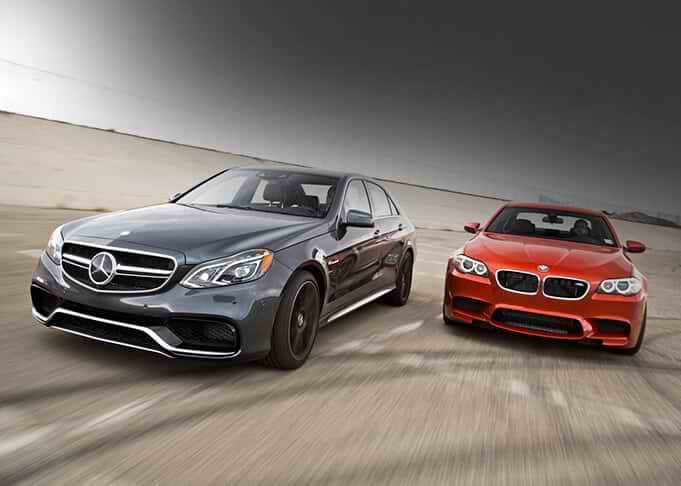 The Apex of Service & Performance. If you are searching for the best price, and a high quality auto service and repair shop, look no further. Our certified service staff is “no-pressure” and professional. We are eager to assist you with your maintenance or performance needs. European-made vehicles are some of the most popular modes of transportation in the world today, thanks in large part to their otherworldly comfort and unparalleled performance capabilities. 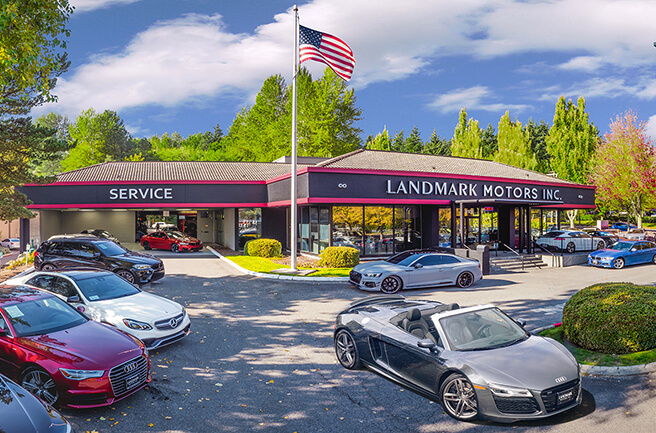 Maintenance plays a large part in enjoying a long lifespan and for drivers in Bellevue the mechanics at Landmark Motors Service & Performance have helped provide a higher level of vehicle maintenance than even the most discerning clients have come to expect. Our service center is state-of-the-art, with the most recent tools and software available at our disposal. Give us a call today to schedule an appointment, or use our online appointment form for a quick and easy experience. We’re constantly improving and expanding our knowledge so that as vehicles evolve with technology and features our service can evolve with it. By providing all important services in-house we’re able to take proper care of your vehicle without the extended wait times and high costs found at other dealerships and brand name service centers. If you’re overdue for a service appointment or to speak with one of our mechanics about repairs for your vehicle please call or visit us today. © 2019 Landmark Motors Inc.